NSH Lawn Care & our hydroseeding division, North Shore Hydroseeding , have been providing results to over 18 years. 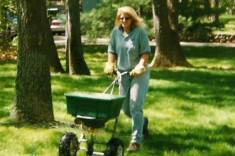 We are not a landscape company and only provide two services, lawn care and hydroseeding. We work with many landscapers, golf courses, developers, and homeowners who share our attention to quality. Please let us give you the results you expect!